Chicago Bears rookie quarterback Mitchell Trubisky isn’t just earning the respect of his veteran teammates, he’s demanding it. And that dart you got in your neck is Mitchell Trubisky aka: "The Truth". I don't care if you're on a consistently sub-par team like the Bears (or Jets for that matter - I can empathize), if you're a rookie and you're drawing that line in the sand with your offense like that, you're on the Audubon to leadership. 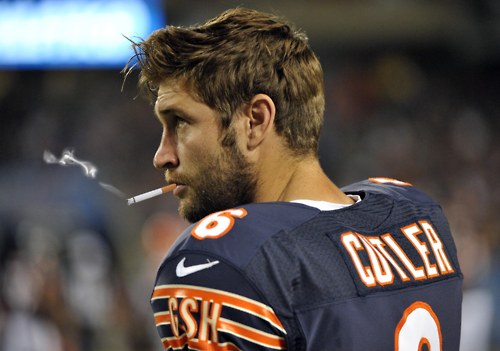 I'd take somebody with a take-no-prisoners, Popeye Doyle attitude like that over someone with Sam Darnold talent, but has the passion level of smokin' Jay Cutler like that any day of the week.